After five tournaments played in parallel with the men's event, the ICC Women's World Twenty20 finally holds its first standalone edition, in the West Indies. The hosts are also the defending champions after their victory in India in 2016. England, meanwhile, are hoping for a repeat of 2009, when they won the inaugural competition while still holding the 50-over Women's World Cup - which they won again on home soil last year. Three-time winners Australia remain strong, while World Cup runners-up India, perennial semi-finalists New Zealand and improving South Africa will also fancy their chances. Meanwhile, the game's shortest format will allow Sri Lanka, Pakistan, Bangladesh and Ireland to dream of overturning the form book. BBC Test Match Special summariser Ebony Rainford-Brent, part of England's winning squad in 2009, has picked out some of the players and teams to watch. Ebony's view: "She hit 178 not out against Australia in the World Cup in England last year, and since then she's played around the world in the Big Bash and the Super League. "She's a destructive left-hander who can take you apart. Massively watch out for her." 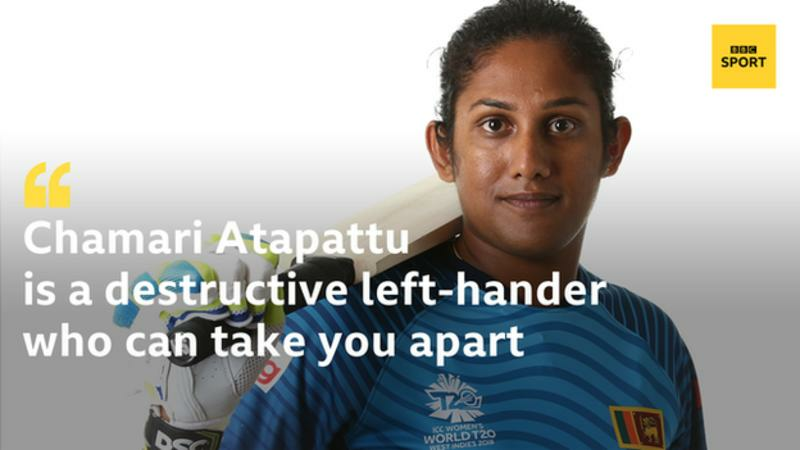 Did you know: Atapattu is the first Sri Lankan woman to play in the big overseas T20 leagues - lining up for Yorkshire Diamonds in England's Super League, and for Melbourne Renegades in Australia's Big Bash. 2018 form: An unremarkable year by her standards, averaging under 20 in eight T20I appearances - with a 44-ball 59 in an ODI being a highlight. 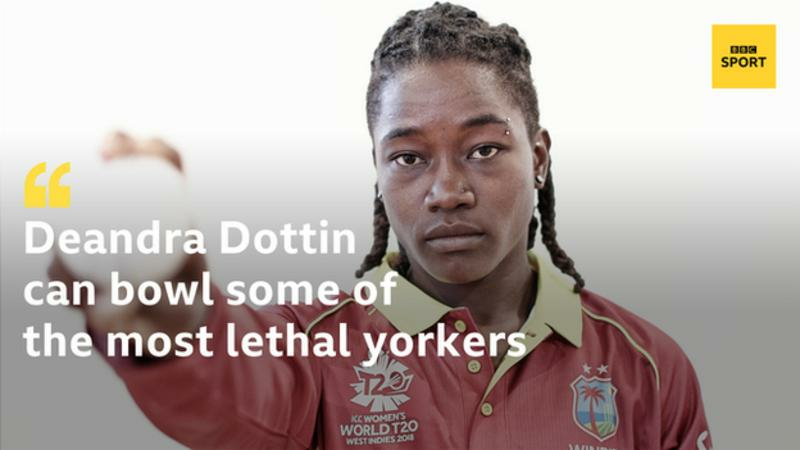 Ebony's view: "She's broken records before, and she can bowl some of the most lethal yorkers at the death. "Although she's not fired for a long time, she's a quality player. I saw she took three wickets in a warm-up game - and playing at home, I'd watch out for her." Did you know: Dottin's century against South Africa in the opening match of the 2010 tournament, from 38 balls, was the first scored in women's T20 internationals. It remained the fastest in men's or women's T20 international cricket until beaten by David Miller and Rohit Sharma (both 35 balls) in 2017. 2018 form: Won the Kia Super League with Surrey Stars, impressing coach Mark Robinson enough to name her as one of three uncapped - and uncontracted - players in the England squad. Ebony's view: "When a team think they've got you on the ropes, she can come in at six or seven, knock the ball around, hit a couple of boundaries and change the dynamic of a game. "She's got some handy leg-spin and she's an interesting player I'm looking forward to seeing." Ebony's view: "She can be absolutely destructive when it comes to batting - she scored a hundred in the Women's Big Bash League last year. She hasn't played in the Super League, although I'm sure everybody wants her, and her potential is incredible. 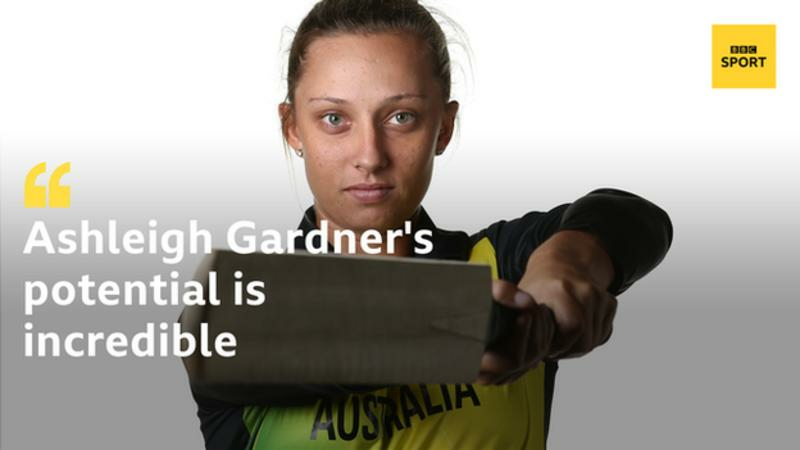 "We know Australia have Meg Lanning and Ellyse Perry, but if Gardner fires, it's going to be very dangerous." Did you know: Last year, Gardner became the first indigenous Australian to play for the national women's cricket team since 1958. 2018 form: Burst on to the scene at age 17, hitting a world record ODI score of 232 not out against Ireland in June - then took 5-17 in the same game. Ebony's view: "She's a young leg-spinner who made history with that double century and five wickets against Ireland. She's only just turned 18 and is a serious talent. "Spin is always important in women's T20, and she has an excellent googly which she doesn't mind bowling first ball. With that potential variation on West Indies wickets, she will be vital to watch." Did you know: Kerr comes from a cricketing family - her maternal grandfather Bruce Murray played 13 Tests for New Zealand between 1968 and 1971, while her father Robbie Kerr played first-class cricket for Wellington. Ebony's view: "She's the best ball striker in the game, as she showed with that hundred in the Super League final. If it's her day, pitch the ball in her half and it's going out of the park. "She used to go gung-ho from ball one, but over the past couple of years, she's learned to be patient. Now, you might see her nudging the ball around for two or three overs and that's where she's most dangerous." Did you know: Lee played for Somerset in the Women's County Championship in 2015, alongside England vice-captain Anya Shrubsole - also turning out in club cricket for Bath where her team-mates included BBC Test Match Special commentator Isabelle Westbury. 2018 form: Started the year well, hit T20 half-centuries against South Africa and Australia, and two against England, averaging 49 from eight innings between February and March - but has only averaged 10 from 10 since June. Ebony's view: "I'd say the best cricketers I've watched in the last 10 years in the women's game would be Australia captain Meg Lanning, and Smriti Mandhana. "She's an unbelievable talent, a very classical left-hander who's beautiful to watch but hits with so much ease - the sixes go flying but it looks effortless. If she gets going, India will qualify, simple as that. If she doesn't, I think they might struggle." Did you know: Mandhana top scored in the Super League with 421 runs from nine innings for Western Storm, including a century at Old Trafford - but had to miss Finals Day to attend an India training camp. 2018 form: Was top scorer in the West Indies' regional T20 championship, and recently hit 70 from 52 balls against South Africa. Ebony's view: "When West Indies won this tournament in 2016, she hit a quickfire 66 off 45 balls in the final against Australia. "She was only 18 then, now at 20 she's going to be at home, she's matured as a player and she's definitely one to watch." Did you know: Matthews is not only the number two all-rounder in the ICC women's T20 rankings (behind her captain Stafanie Taylor), but her all-round skills also extend to throwing the javelin, the sport at which she represented Barbados up to under-18 level. Ebony's verdict: Who will reach the semi-finals? "England will get through - but their chances of winning the tournament might depend on whether they finish first or second in Group A. If they finish first and Australia finish first in Group B, they won't meet in the semi-finals. If they end up clashing, that could cause a problem. "It's a tough call, but I'm going for South Africa to go through with them as they're a little more disciplined than West Indies. Bangladesh have been starting to win games in the Asia Cup, where they've beaten India and Pakistan. While they might not qualify, they might cause an upset. "Australia will qualify from Group B. I might give India a shout because of Smriti Mandhana and Harmanpreet Kaur. New Zealand might miss out this time, which is rare because they're a very good team, but I think they might just miss the boat." "While they have qualified for the past couple of T20 tournaments, they've been disappointing and we've not seen consistency from them. It's more about proving to themselves that they belong there."